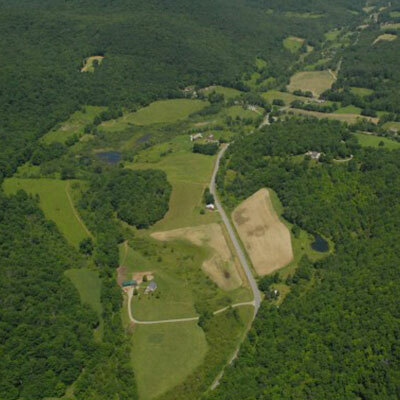 Josiah Allen Blog | Southern VT Real Estate Southern Vermont's Leading Independent Brokerage. Since 1962. Welcome to our blog — browse listing spotlights, tips and tricks for homeowners, industry insights, and more! Feel free to leave a comment below, we would love to hear from you. If you have any questions don't hesitate to contact us. The weather may not agree but it's officially Fall and all Vermonters know what that means — foliage! The days are getting shorter, the nights are getting cooler, and the Green Mountains are starting to change. 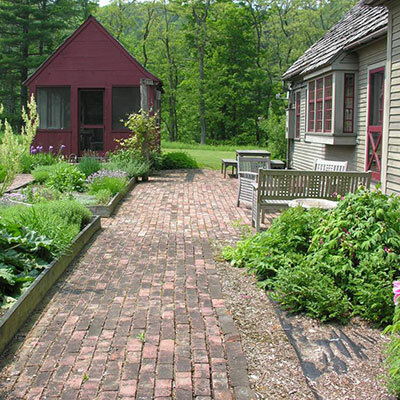 It's the perfect time to go for a scenic drive, take a hike, or enjoy one of the great festivals going on in Southern Vermont this season. Fall is the perfect time to visit the Green Mountain State, although we think it's great regardless of the season. Here in Southern Vermont the landscape already has the Autumnal gold glow. We suggest taking a drive up Skyline Drive to the very top of Mount Equinox to enjoy a panoramic view of five different mountain ranges as they turn from green to fiery reds, warm golds, and deep purples. Stratton is another great place to enjoy the foliage, as it is Vermont's highest peak. Don't miss Stratton's annual Columbus Day Weekend Celebration from October 7 - 9. Spend the day at Stratton Mountain Resort enjoying the chili cook-off, brewfest, pumpkin painting, hay rides, live music, and so much more! We would also recommend getting out in the crisp Autumn air and taking one of the myriad of day hikes in the Manchester, Vermont area. Some of our favorite family-friendly day hikes include Antone Mountain in Rupert, Haystack Mountain in Pawlet, Little Rock Pond on the Long Trail, and Prospect Rock in Manchester. Regardless of how you get out there to see the leaves change, you'll want to keep in mind that we typically only get about 2 weeks of prime foliage in October. This can vary by elevation and location so we recommend checking the Vermont Foliage Report for recent updates on where the best places to see the foliage are. The Northern New England Chapter of the American Planning Association held its annual conference in Manchester the first week of September. 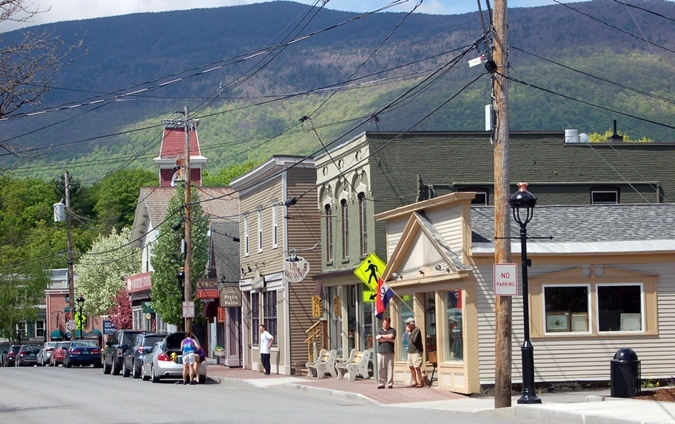 The conference is held in Vermont every three years and draws in dozens of regional and town planners from across northern New England. Those that attended the conference focused on developing a Downtown Manchester Master Plan that Manchester's Planning Commission will then be able to use and draw from in the future. The conference kicked off with a planning charrette that the public was encouraged to attend. A charrette is an intensive planning session where citizens and designers collaborate on a vision for development. The charrette provided a forum for ideas and offered immediate feedback to designers and allowed local residents the opportunity to give feedback on what they would like to see built, changed, and preserved in downtown Manchester. Manchester is looking to bring in more mixed-use space and housing to downtown and reverse the recent trend they've seen of young people leaving the region. As more and more retail shops close down, Manchester needs the public's help to look to the future and figure out how to make downtown Manchester a vibrant downtown. This comes on the heels of other planning initiatives in Manchester such as the 2020 Community Visit that resulted in the planning of a riverwalk development as well as working to make Manchester a bike-friendly city. In the weeks and months following the conference, designers and planners will draft the official plan that will be presented to the Manchester Town Selectman Board sometime this Fall. Kitchens have really become the main selling point of a home. They are the topic of countless home renovation shows, and more and more they have become the gathering room while entertaining. 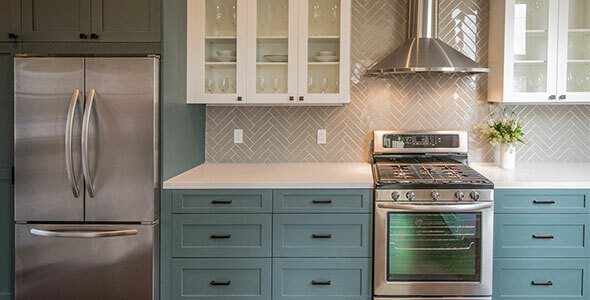 There are 5 core kitchen design styles, and they all say something different about you and your home, so what does your kitchen say about you? 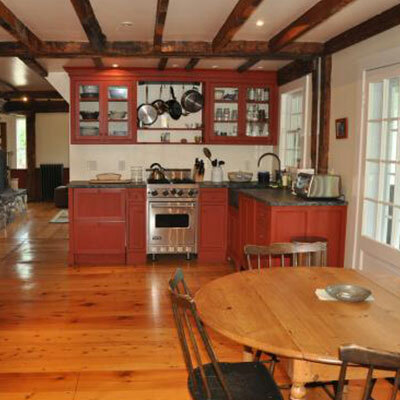 Today's traditional kitchens are warm and casual. 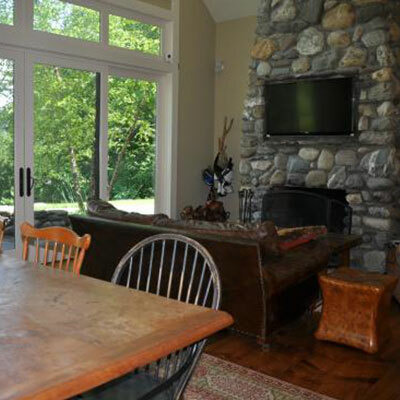 Think dark woods, granite counter tops, and wood flooring. 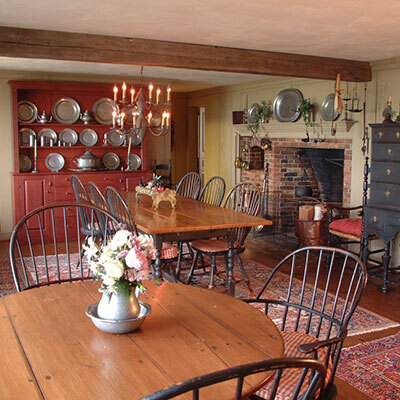 A traditional kitchen is timeless. You pride yourself on looking good and you're not too flashy. 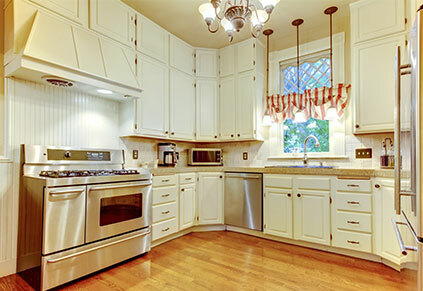 Commonly confused with contemporary design, modern kitchens trace their origins to the 1800s. Modern design was extremely popular from the 1920s to the 1950s. 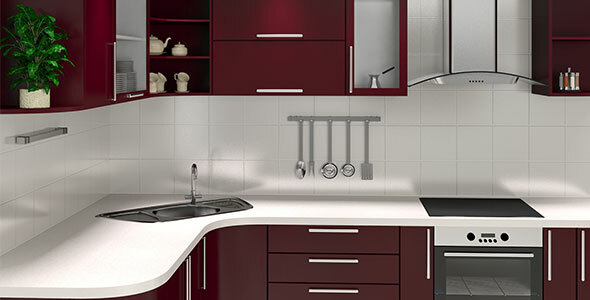 Modern kitchens are defined by a moderate use of color, clean lines, and natural materials. If you consider yourself kind of retro, but not quite trendy, modern is the style for you. 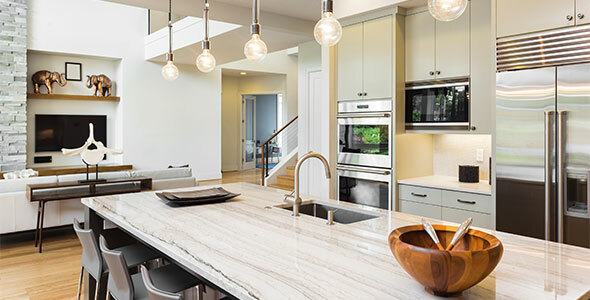 Defined by the tone-on-tone color choices, smooth surfaces, and metallic finishes, contemporary design is perfect for those who find design just as important as function. If you're a fan of making bold statements and consider yourself stylish and sophisticated, contemporary is your type of kitchen. Built by fusing the best of traditional and contemporary design together, transitional kitchens focus on clean, relaxing design elements. Transitional kitchens are laid back while still being on trend. Seemingly random, yet unified, eclectic kitchen design is all about combining elements and style from several periods and different origins. Eclectic kitchens don't necessarily have to be packed with color. It's really about fusing lots of your favorite things into one unified space. An eclectic kitchen says creative, independent, and intuitive. The goal of staging your home is to make it easier for a potential buyer to envision themselves living in the space. The majority of buyers during the Spring are millennials, who are known for their attention to details. Empty-nesters also tend to shop in the Spring. So what can you do to help these buyers fall in love with your home? According to a report written by the National Association of Realtors, 81% of buyers say it's easier to visualize a property as their future home if it has been staged. The average cost to stage a home is about $675, but there are plenty of inexpensive and quick things you can do to stage your home before an open house. If you can only focus on one or two rooms, the following are the most important rooms to stage according, the NAR report: the living room, kitchen, master bedroom, dining room, bathroom, children's bedroom, and guest bedroom. Focusing on even just these five rooms will give your home a higher chance of selling quickly, and for a higher price. Be sure to deeply clean all areas of your home, including the not-so-accessible spaces like closets and under-sink cabinets. Buyers will open any door they get their hands on, so don't risk an embarrassing surprise. Hiring a cleaning service is also a good idea, as they are able to smell things you have become accustomed to over the years, and will know the critical areas that need to be cleaned. Adding a fresh set of white towels can really go far. 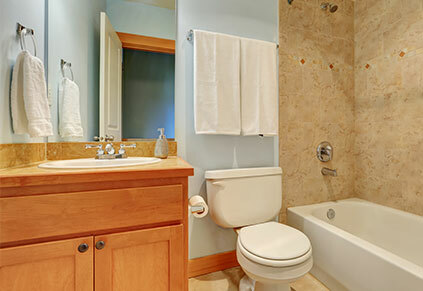 The bright white of the towels will make the room seem more fresh and clean. Make sure you clean outside your home as well, this is the first opportunity you have to grab potential buyer's attention. Sweeping cobwebs, weeding, mowing the lawn, adding a new welcome mat, planting fresh flowers if the weather is right, replacing burnt-out bulbs, hanging a festive wreath, and power washing siding and decks as needed can really go a long way. 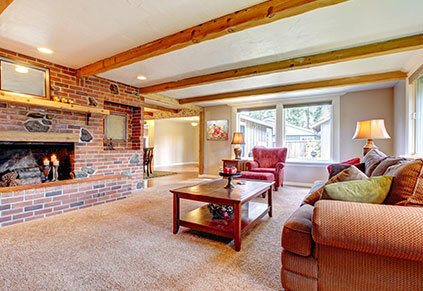 Clutter distracts potential buyers from seeing your home's best features. By removing this, you give potential buyers a better chance to see themselves living in the space. Think about tidying up as soon as you decide to sell your home, so you don't have to rush before an open house. You might even consider renting a storage unit to store your belongings in while you prepare to move. 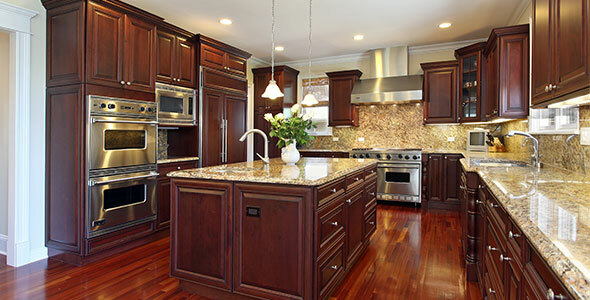 When every cabinet in your home is full, it gives buyers the subconscious impression that you're home is lacking space. Same goes for your garage. If your garage is stacked with boxes it will make buyers question whether there is enough space for their belongings. Curtains may tie a room together and have plenty of practical uses, but when it comes to selling your home — ditch 'em. Potential buyers want to see how much light each room gets, and keeping curtains up, regardless of how beautiful, tend to make a room feel darker and dated. Roll up your old rugs. Hardwood floors are a major selling point these days and an old, tattered rug can be a real turn off. Make sure to remove any rugs in the kitchen, as the room will instantly feel cleaner and more spacious once they're gone. TIP - Pull your furniture away from the wall to make your room appear bigger. You will want to remove all personal photographs and mementos from around your home. Buyers want to come in and envision themselves in your home — they don't want to think about it as someone else's home. The first thing you will want to do is make sure that you repair all the squeaky doors, chipped paint, as well as any broken fixtures and fittings you have learned to live with over the years. You might not mind the squeaky basement door, but potential buyers will. A neutral home appears larger, and you have less of a chance of turning off potential buyers with some crazy, on-trend accent wall. Freshening up your home with a few cans of paint can really go a long way. 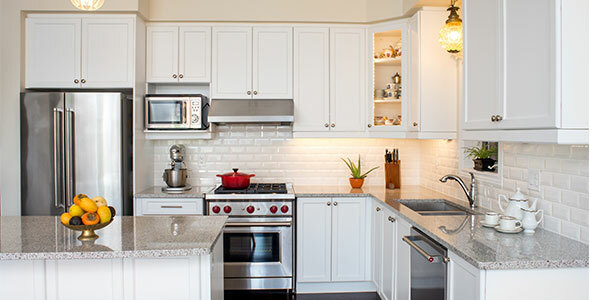 You don't have to replace the cabinets or the counters to give your kitchen an updated feel. Replacing old drawer pulls is a great, and inexpensive way to modernize an older kitchen. Talk with your real estate agent about trends they are seeing with what buyers are impressed with if you're not sure which direction to go in. Think about updating doorknobs, light switches, and outlets for the same reason. 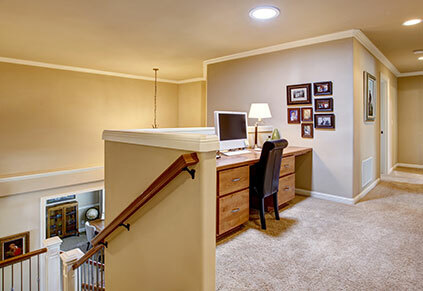 Replacing old lighting features throughout the house can also help to modernize and maximize the feel of the space. Even just buying new, white lampshades brighten and modernize a room. TIP - Turn on every light in your house, this will brighten the space, making it feel larger as well as give potential buyers confidence that you have nothing to hide. Remember, you aren't trying to set an atmosphere like you would at a dinner party, you are trying to sell your house. Setting the dining room table can really liven up a room. Keep it simple and modern — white plates with stainless steel cutlery and stemless wine glasses atop a neutral placemat or tablecloth keeps it clean yet modern. 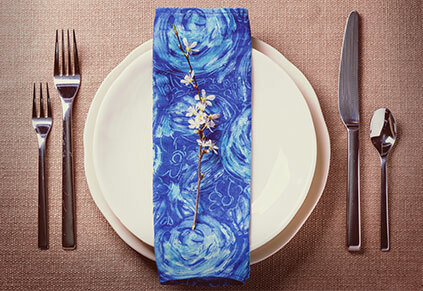 If you think the room needs a pop of color, add a vibrant napkin. Once you get rid of family photos a space may feel a little empty. Think about adding metallic accents around the room to modernize the space without risking it with colors that may turn some buyers off. Consider adding mirrors as you replace family photographs. They add more light and can help enlarge the appearance of smaller rooms. Photography can also be a great way to modernize a room and add a pop of color, avoid photos of people as, again, this can be distracting to potential buyers. Renting furniture can also be an effective way to help potential buyers envision themselves in your home, especially if you have outdated, worn-out furniture. Ensure that every room in the home has a defined purpose, even if it's not the purpose you use the room for. For example, carving out an office space can really help a millennial buyer envision themself working from home, even if you don't. The idea is to help potential buyers visualize how to maximize the available space. 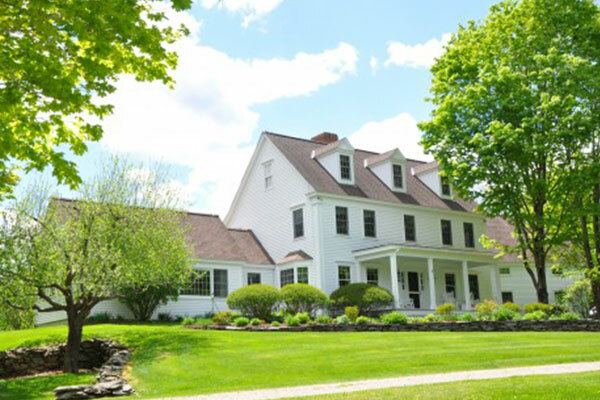 This 6 bedroom, 5 bath colonial sits on 90.4 acres! 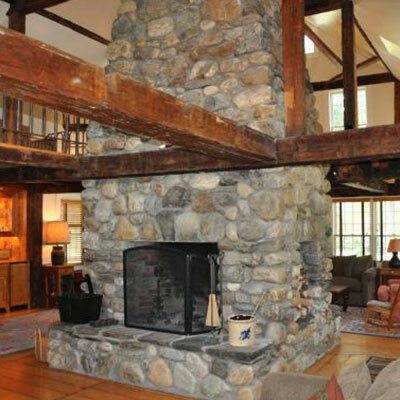 The soaring stone fireplace is center-stage in the open living area with glorious cathedral ceilings and exposed beams. Above the garage is a private guest suite. 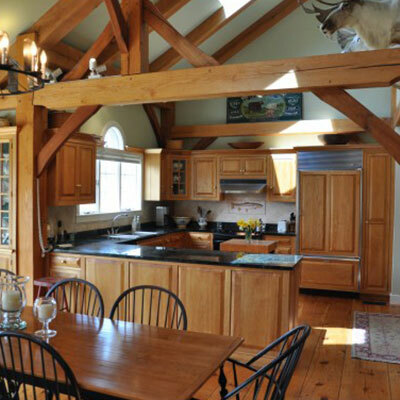 The two story barn offers ample storage. 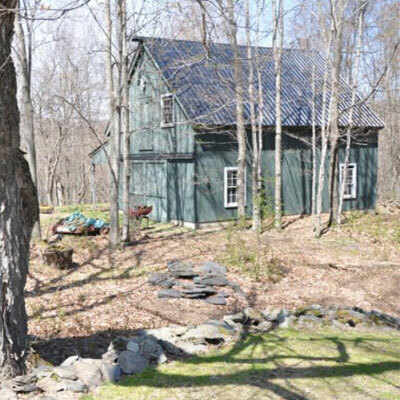 This is a must-see property! 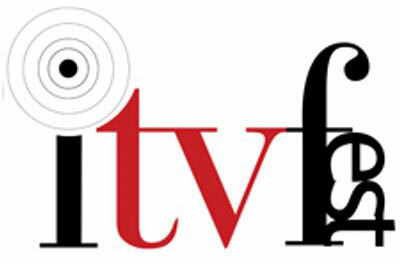 View the full listing here. Contact Laura Beckwith today to schedule a showing, or if you have any questions. 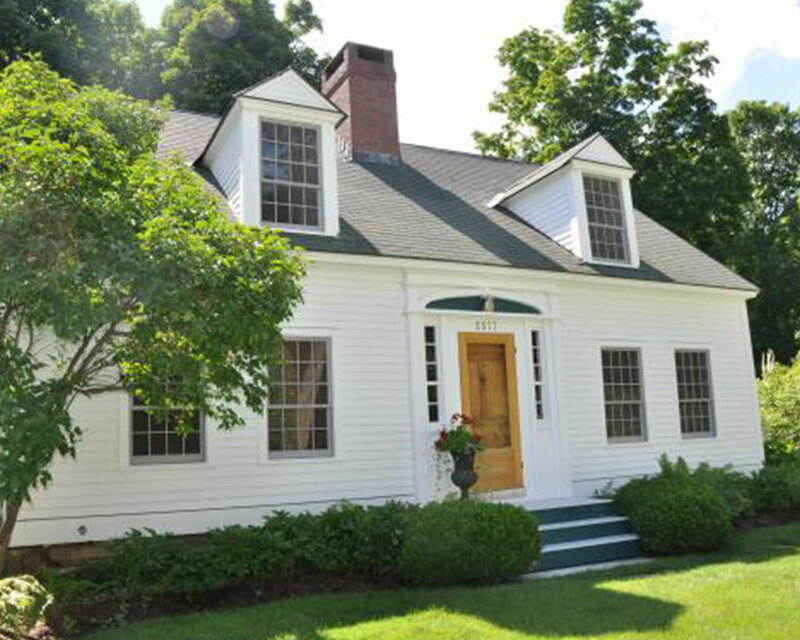 Overlooking 40 conserved Hildene acres along the Battenkill River, sits this 4 bedroom, 3 bathroom colonial reproduction. Pulling in reclaimed architectural elements, this truly unique home offers 3 fireplaces, vaulted bedrooms, central air, and a 2 car garage. View the full listing here. Contact Laura Beckwith with any questions or to schedule a showing. 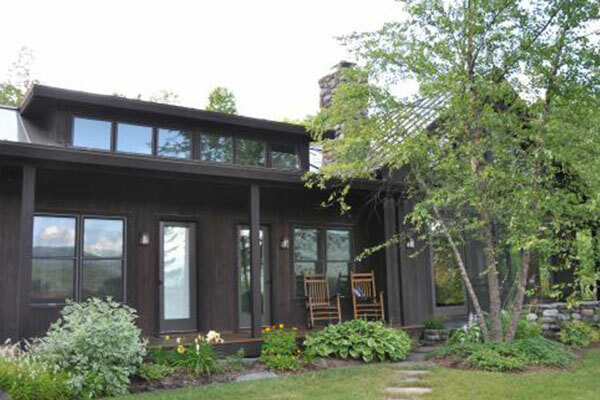 This unique property offers 2 residences on coveted Dorset West Road at an unbelievable price. One one hand you have the 1760 one-bedroom which offers 2 fireplaces, a pizza oven, a 2-story great room, a screen porch, and a garage. On the other hand, you have a 3 bedroom home with a window wall and an 18' vaulted great room. Each house has their own driveway. View the full listing here. Contact Laura Beckwith to schedule a showing or if you have any questions. 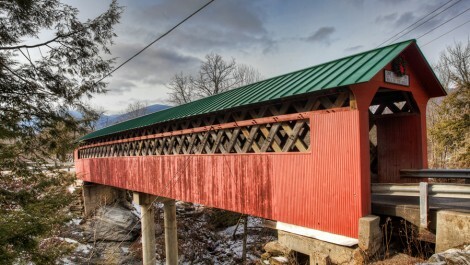 In Vermont, we love our #coveredbridges. They are beautiful reminders of the richness of New England’s built history and each bridge is unique, built to fit a particular setting, a particular spot on a river. 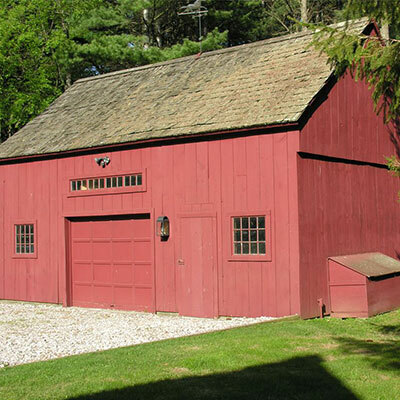 While there are numerous books on covered bridges (a couple of our favorites are Eric Sloan’s American Barns and Covered Bridges and New England Covered Bridges, A Comprehensive Guide by Benjamin Evans), we should not have been surprised to find a wonderful website called “Nature Notes” with fantastic section on covered bridges, sortable by state. You can see in an instant that Vermont has 103 of them. There are 5 in our home county (Bennington County) and 7 in our neighboring county to the north (Rutland County). There is a link to each bridge. The website is a wonderful resource with great photos and a quick history on each one. We encourage all New England lovers (and bridge devotees of any kind) to spend some time perusing the site. Then go online to The Northshire Bookstore and buy one of the books so you have a complete Covered Bridge education (you’ll be the hit of your next cocktail party!). 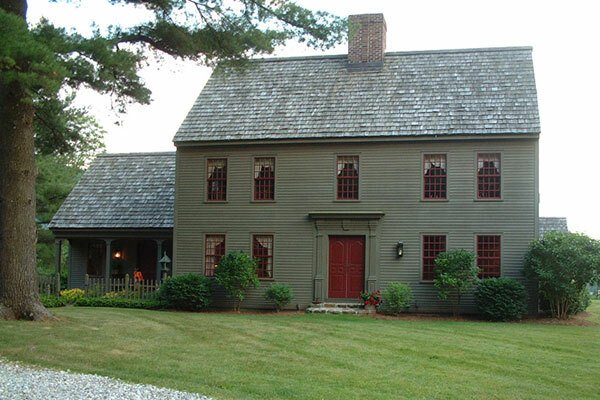 Dorset: 9th of 24 Top New England Towns! We’re delighted to see that Dorset is listed on Buzzfeed’s list of 24 towns you absolutely, positively must visit in New England! We’re proud to be associated with such classics as Castine and Kennebunkport and Bar Harbor, ME, as well as Newport and Block Island, RI. 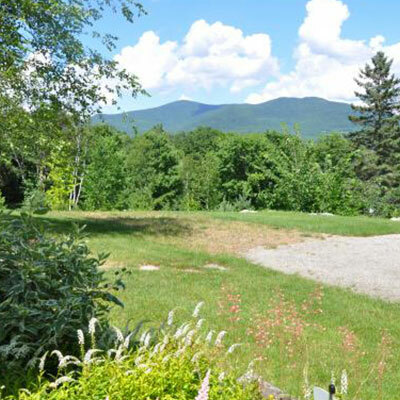 Number 1 on the list is our fellow Vermont town, Woodstock, and it’s not too far away from us. 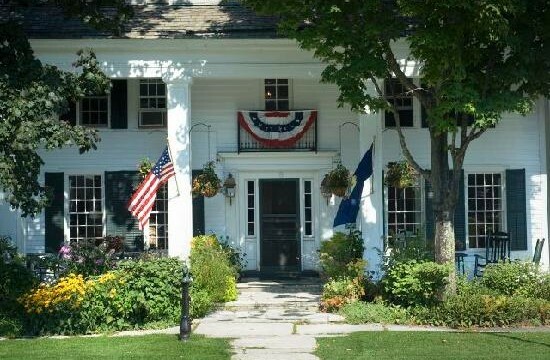 So come stay over in Dorset, and take a day trip to Woodstock and the other classic Vermont town listed, Grafton. One other Vermont “town” made the list of 24, too: Montpelier, our state capital, and the smallest state capital in the nation! There is a lot that’s interesting and beautiful here. Indeed, we wish Buzzfeed had chosen slightly better Dorset photos. Come check us out and see how pretty and fun it is here for yourself! The Best IS Right Here! If you love snowy romantic walks, hot toddies by the fireplace, speeding down mountains on sticks or boards, snowshoeing the backwoods, or just watching the icicles while enjoying a delicious meal in one of our many fine restaurants— we have the place for you! 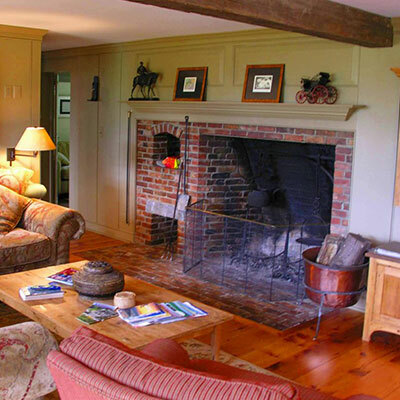 Come exploring and we’ll help you find a piece of Vermont to call your own. 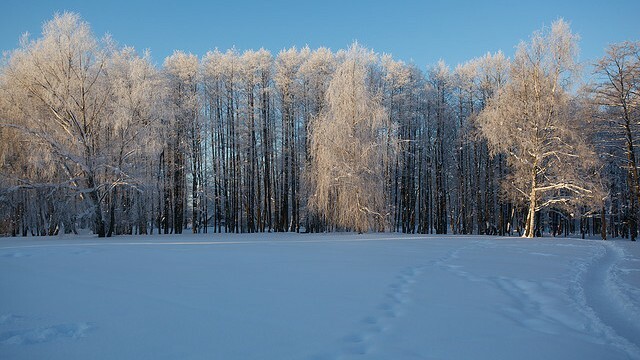 We know this area in every season and we can tell you about all it has for you and your family. Ask about our phenomenal schools—with top test scores plus a half day off each week in winter to learn to ski! That’s the lifestyle you want, isn’t it?